Did anybody experience with W023 fault code in BMS system? It looks like the fault is about contractors. By Tesla, I know it is a special procedure to erase it. The BMS_w023 fault code is for the contactors opening due to hardware overcurrent; have you addressed this problem? While this is a valid Tesla fault code, it is not listed as a fault code for the Rav4 EV. What vehicle do you have? I have a battery with the same problem. 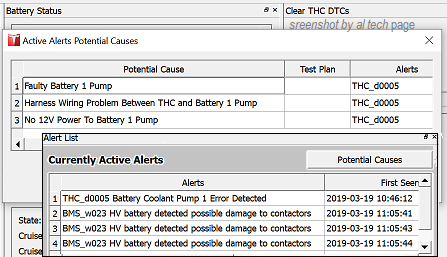 The contactors seem ok, yet there’s still a BMS error for “battery contactors”. If you call me at+1 (760) 798-0342, perhaps we can figure this out.